Senior Account Manager Tom Johnson tells PR Week why he thinks the International Olympic Committee’s enforcement of Rule 40 is a mistake. There’s been a lot of talk about the IOC enforcing its infamous Rule 40 on social platforms. In theory, Rule 40 stops the over commercialisation of the Olympics but practically, it simply gives the IOC a way to prevent non-sponsors, athletes and your local bakery from hijacking the Olympics valuable brand terms and logos. In 2012, there was a fair few stories about businesses, most of which were huge multinationals like a florist near Stoke or an estate agents in Devon, that were threatened with legal action for putting the Olympic rings in their window displays. While you can understand the IOC wanting to protect the millions it makes from sponsorship, enforcing Rule 40 online could have some very negative results. One of the reasons Olympic sponsorship is so expensive is that every man and his dog watches it. However, we’re getting to the point where viewers are just as likely to watch Usain Bolt’s 100m final a few hours after it’s happened via a YouTube clip on their mum’s Facebook than live on BBC One. Preventing influential brands and personalities from posting and engaging with these moments will limit the reach of them. It’s not just about viewing figures though. One of the reasons that people love the Olympics is the inclusive, positive sentiment that surrounds the event. Four years ago, London became the jolliest place in the world: people were smiling, Super Saturday, the Mobot wasn’t annoying and strangers even spoke to each other on the tube! The Olympics is magical, and because of that brands want to engage with it. Local companies want to tell their regional press about Olympic themed dressing up days, or tweet congratulations to an athlete who’s inspired them. Clearly, it can be promotional but is it really doing more to over commercialise the Games than a fast food restaurant sponsoring a sporting event? In 1896, the IOC tapped into the legend of naked ancient Greek men wrestling and lobbing javelins to justify and revive a sporting event. Since then it has effectively used incredible sporting moments, from Jesse Owens in Berlin ‘36 to the Team USA Basketball team in Barcelona ‘92, to build one of the world’s largest and most prestigious sporting brands. 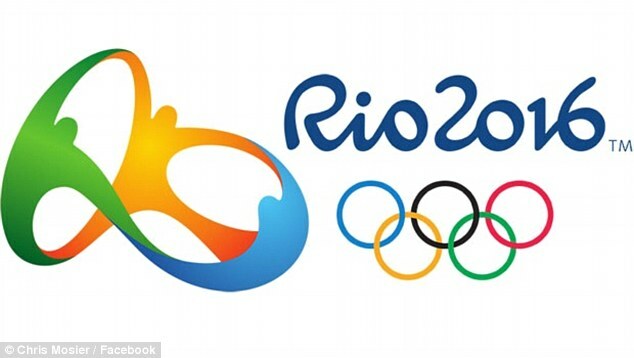 To keep this brand alive in 2016, the IOC should be looking to encourage engagement around the Olympics, particularly online. By taking away the chance for people and companies to interact and enjoy the sentiment around the Games, it will have the opposite effect. People will become switched off and will forget the black power salute in Mexico ‘68, they’ll forget Jessica Ennis in London 2012 and with those memories, the Olympics’ own brand power will be lost. Nowadays, with such a switched on and aware digital audience, it’s pretty hard to simply buy brand reputation but it seems that by enforcing Rule 40 on digital platforms, the IOC seems willing to sell theirs to the highest bidding sponsor.